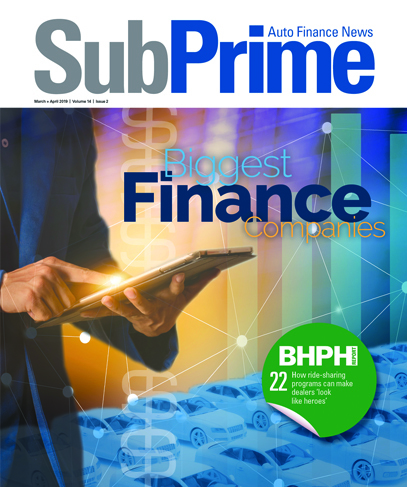 DriveTime might be still searching for a new chief executive officer, but the retailer that specializes in working with consumers with soft credit now has more resources for originations. Ally Financial on Wednesday announced that it has entered into an agreement to purchase retail contracts from DriveTime. Under the agreement, Ally will make up to $750 million available to DriveTime for the purchase of retail contracts over the coming year. “We’re excited to work with DriveTime to provide committed financing that frees up capital it can use to grow its business,’’ said Tim Russi, president of auto finance at Ally. “Our expertise allows us to support DriveTime in a way that complements our well-established indirect model,” Russi continued. Under the terms of the agreement, Ally will provide committed financing for the purchase of retail contracts for 12 months. The agreement supports DriveTime’s expansion into the near prime segment. “This relationship with Ally enables us to grow originations, diversify our retail and finance platforms and enter into a new consumer segment, while still maintaining the exceptional customer experience we take pride in delivering,’’ said Kurt Wood, chief financial officer of DriveTime. “We appreciate Ally’s financing agility in implementing an innovative solution to meet our needs,” Wood added. The relationship with Ally arrived about three weeks after DriveTime indicated that the company is currently searching for a CEO for its retail operations.